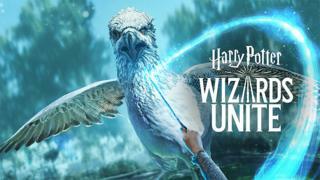 The first details of Harry Potter: Wizards Unite have been revealed. It’s made by Niantic, the company behind Pokemon Go. Wizards Unite is an augmented reality game you play on your mobile phone, putting animation into real life views through your camera. But instead of trapping cute animals in tiny balls, this time around you’re dealing with magic R11; and players must look for “foundables”. These are “artefacts, creatures, people and even memories” from Harry Potter and Fantastic Beasts books that must be found by new recruits from the Statute of Secret Task Force – and that’s you. Players will have to cast spells to beat “confoundable” magic and return the foundables to the wizard world. They’ll also have to visit inns to replenish their spell power, brew potions and visit well known locations from the Harry Potter books and movies. Gameplay footage reveals that spells are cast by tracing patterns on the screen of your handset. Early previews of the game describe it as “more complex” than Pokemon Go, which became a global phenomenon and returned the gaming franchise to being one of the biggest in the world. There is also the opportunity to team up with fellow wizards (ie, your friends) to play multiplayer battles against villains such as Death Eaters and Dementors – which are like the gyms in Pokemon Go. Players can choose from three jobs for their character which means players will have different skills and abilities from each other. There is no release date for Harry Potter: Wizards Unite, but Android users are able to pre-register on the Google Play store.